Natural Cork’s operations in North America started in 1994. The early nineties saw the resurgence of cork flooring and Natural Cork was instrumental in promoting the category rapidly becoming the most recognized brand in the industry. By elevating the standards of quality and bringing forth product innovations, Natural Cork is committed to growing the market share of cork flooring among the hard surfaces offerings. Since the beginning of 2005, Natural Cork has extended its product selection to include additional unique flooring lines made of natural resources. 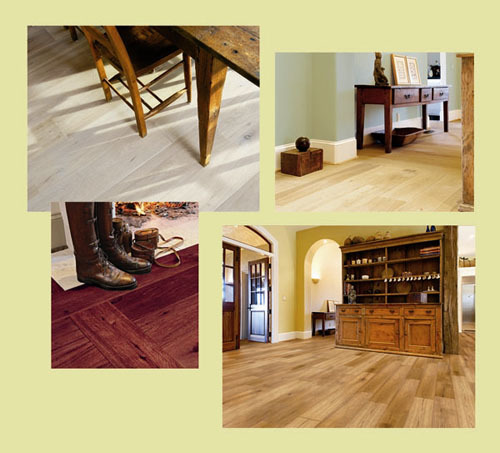 While contributing to the company’s growth, the addition of bamboo floors, and antiqued wood floors complement the extensive cork line, and create an opportunity for new profit centers for our customer base. In 2006, while going through a phase of very high growth rate, the company implemented several strategic changes and redefined itself by changing its name from “Natural Cork” to “Natural Cork & More”. Natural CORK has always been committed to developing products that are safe for human habitation, utilizing sustainable materials, and employing technologies which minimally affect our natural world. Natural CORK flooring is environmentally correct and does not add pollutants to human indoor living environments. In our living spaces, cork floors create a warm, comfortable, resilient surface that is gentle underfoot, is hypoallergenic, and diminish the nuisance of impact noise. Natural Cork’s floors are treated with Microban®, an anti microbial additive preventing the development of molds, mildews while contributing to indoor air quality. Cork contains no VOC’s, does not off-gas and will not shed micro-fibers into the air. From harvest to production to installation, cork flooring is environmentally sustainable, non-toxic, and healthy. Bamboo flooring is made of Bamboo a member of the grass family, and thus, cutting bamboo does not kill the plant. An extensive root system remains intact, allowing for rapid regeneration. Just like with cork, harvesting bamboo does not disturb the ecosystem. In order to guarantee the quality of our bamboo products, we partner with factories in Anji, the most reknown bamboo area in China. source our products from To insure the integrity of our products, our team based in China, where our bamboo floors are sourced from, insures products are made to standards the best quality bamboo stips are go through a very strict quality control process to insure, the integrity of the products and By selecting wood products bearing the FSC accreditation, Natural Cork contributes to the protection of our eco-system and to the promotion of well-managed forests as a standard to be adopted rapidly worldwide. Innovation, product availability, quality, variety, and technical support come together in one company to provide a brand name you can offer customers with confidence and pride. Natural CORK, our name says it all.